Virtual reality technology is a reliable health solution for people that are looking for relief from insomnia, stress, anxiety, and depression. The stress detox experience known as Kortex pairs their neurostimulation device with VR headsets and is proven to be effective in stimulating the flow of feel-good chemicals and lowering stress hormones. Kortex uses Fisher Wallace Stimulator technology or 2 sand dollar-sized cellulose sponges that are attached to electro stimulators. These stimulators pulse and give off little charges of electric stimulation when they are wet and placed on the temples or scalp. Don’t worry, they’re gentle pulses, so you won’t get shocked. The second part of the Kortex device looks like an old walkman or portable CD player that gets attached to the back of the head with a velcro strap. The battery pack (2 AA batteries), where all the electrode energy comes from, rests lightly between the top of the neck and the base of the skull and can be attached to any VR headset. The Kortex and Fisher Wallace Stimulators are backed by scientific research to help 80% of daily users, is cleared by the FDA, and has had over 7,000 doctors prescribe it to 30,000 patients (and counting) for reducing stress, depression, and insomnia. Kortex users can use the electrodes anywhere they feel comfortable relaxing and can be used with or without a VR headset. Although the mental health tech doesn’t require VR to function, the benefits of pairing it with a VR headset are much greater than without it. Virtual reality is proven to be effective in enhancing coordination, improves Parkinson’s brain functioning, and improves mental health and brain processes. Kortex partnered VR experiences like Lands End: A VR Adventure by ustwo Games, music-driven Old Friend and Chocolate by Tyler Hurd, and soothing VR experiences like AppliedVR, RelaxVR, and Orbital Vanitas by The New York Times VR help destress the senses with immersion. Virtual reality has been known to unlock the flow state, or feeling of oneness with the world around you or the activity in front of you, by friendly taking over what you see, hear and interact with inside a medium like VR. Meditation apps like RelaxVR are effective for reducing anxiety, mind chatter, and are helpful to people who suffer from sore and tense muscles. Using Kortex stimulator sponges with VR experiences is a double-sided attack on negative or overwhelming feelings, lifting serotonin levels and lowering cortisol with just 20 minutes of daily use. Kortex is not only helping people who suffer from sleepless nights and bouts of stress, they’re helping people with addiction and PTSD. Kelly Roman, Co-Founder of Fisher Wallace Labs, clarified just how powerful their stimulation tech is in an UploadVR article saying, “In 2009, we performed a 392-subject study with the Fisher Wallace Stimulator at Phoenix House, the nation’s largest non-profit drug rehab center. […] Heroin and cocaine addicts reported improved sleep as a result of using our device, and we increased 90-day rehab retention by 50% versus standard rehab. This is one reason why the Fisher Wallace Stimulator was approved by Medicaid in Maine last year to treat opioid addiction patients – the first state Medicaid to approve us.” Rehabilitation is not an easy journey for doctors, staff, or suffering patients, but using Kortex gives them all a fighting chance against addiction. Corporal Logan Shield, a retired U.S. Marine Corps veteran who served 2 tours each in Iraq and Afghanistan, put Kortex to the test and bravely shared his experience and outcome. Corporal Shield shared the following in a Kortex interview, “I can think, I can speak, I can study, I can focus on people and engage in conversations with much more clarity,” and that “honestly, all I ever wanted my entire life, not even just in the military, was to feel like a normal person, and that device reintroduced that feeling of normality to me.” Using serotonin boosting electrodes with VR can be a helpful tool in giving PTSD symptom sufferers a respite from insomnia and replacing it with improved sleep quality. Anyone who wants to return back to the sunny side of life or get restful sleep can use Kortex to get there in as little as 30 days with daily use. The portable tech won’t interfere with medications but should not be used if you have a pacemaker, implanted nerve stimulator, or other internal medical devices. 1% of Kortex users report getting a headache, feeling dizzy, or irritation at the site of the electrodes, which is understandable because no device is perfect and attaching electrodes might lead to human error (we can’t all be med techs). You can get Kortex on their website for $499 with a 1-year manufacturer’s warranty. 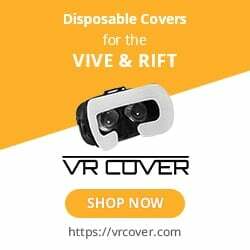 It can be used with Samsung Gear VR, Google Daydream View, ZEISS VR ONE, HTC Vive, and Oculus. Sony PlayStation VR is not currently supported.